I left Lincoln bright and early on a cloudy and cool morning. 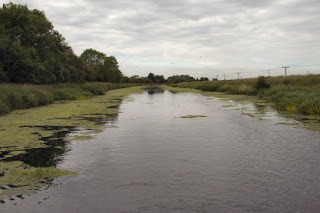 By the time I had got through Stamp End Lock the cloud was breaking up and cleared by Fiskerton Fen. 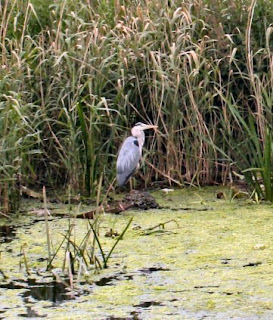 The occasional Heron was on the look out for fish but must have had a problem spotting one with all the weed about. Between Washingborough I spent a leisurely hour watching the Red Arrows practising their formations. They are quite stunning and a joy to watch. 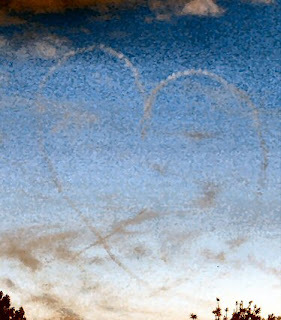 One of their final formations was a heart in the sky so I took a photo of it for Abz. Not one of the best but the sentiment is there. The canal out from Lincoln is getting a bit green with weed. 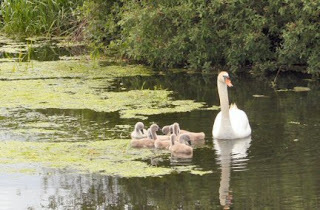 The cygnets seem to like it so I hope that they are all hungry and get on with the job of removing it. 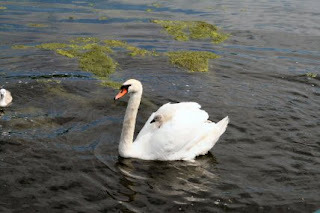 Some of the cygnets however get very tired of all that swimming so hitch a lift with one of their parents.